This chunky wooden chest puzzle is very puzzling indeed! 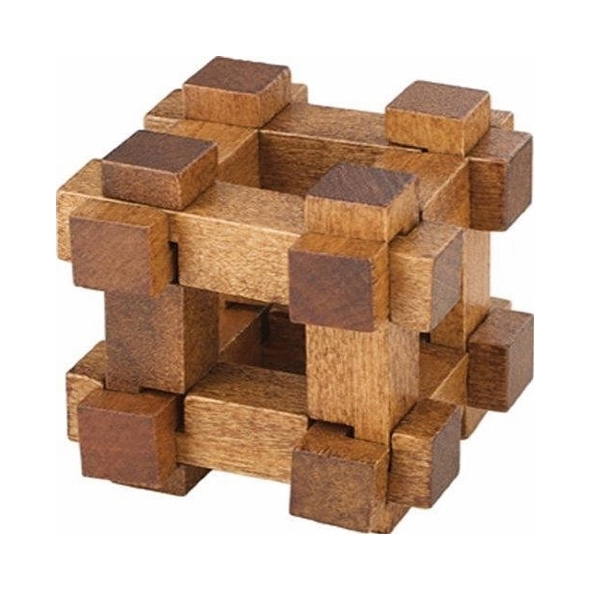 Our wooden puzzles make great gift ideas and keep the mind busy for hours. Fantastic little puzzles, they are! Makes a fantastic stocking filler! If you're looking for a stocking filler - or just something that will keep the kids occupied for a couple of hours - we heartily recommend this chunky little puzzle. Can YOU solve it? 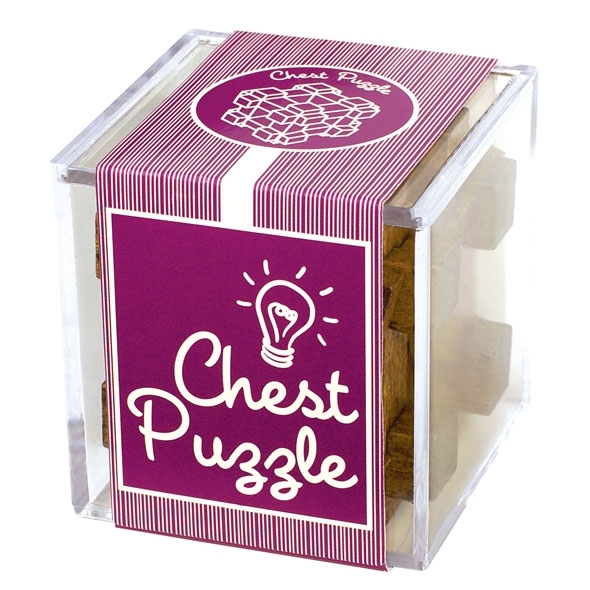 This wooden chest puzzle is an ideal little stocking filler, as well as a pretty great gift in general! The aim is to dismantle the chest shape, and then attempt to rebuild it using the same blocks - it may not sound like much, but it's a lot more difficult than it looks. If you do get stuck, there are instructions provided...but you wouldn't do that, right? You're not a cheat, are you? Kids of all ages, and adults too! If you know someone who enjoys a challenge, a puzzle, or just generally getting their cogs turning, wooden puzzles like this one makes great little gifts.